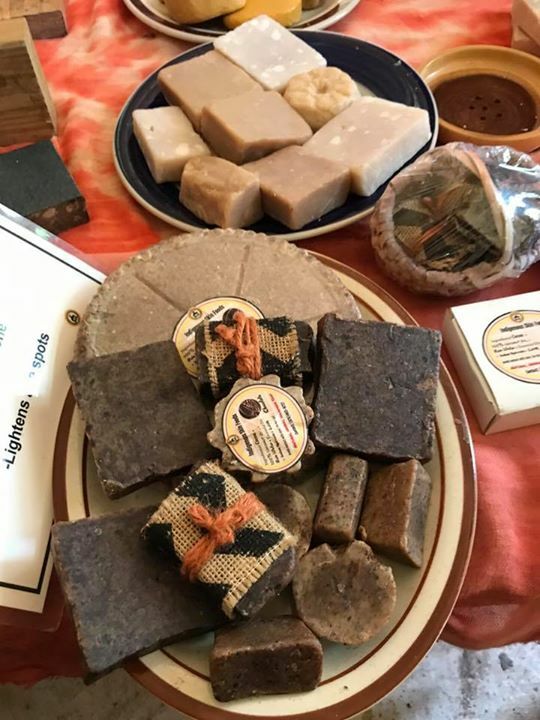 This weekend our Travelers spent some time at the Rasta Village in Montego Bay - and while there we participated in the making all natural soaps. Instructions given by Queen B...this was followed by Rasta lunch and drumming - a great time was had by all. Change your World by sharing Ours...this is how we do it! Home/adventuretours, bobmarley, caribbean, cheaptravel, dancehallmusic, ecotourism, foodtour, jamaica, jamaicadiscovery, kingston, montegobay, musictour, negril, ochorios, offthebeatenpath, onelove, portland, rastafari, reggaemusic, traveldeals, treasurebeach, visitjamaica/This weekend our Travelers spent some time at the Rasta Village in Montego Bay – and while there we participated in the making all natural soaps. Instructions given by Queen B…this was followed by Rasta lunch and drumming – a great time was had by all. Change your World by sharing Ours…this is how we do it!